Is Dairy Fat Good for Your Health? Is Dairy Fat Actually Healthy? If you are at all inclined to trust media headlines about diet, and you certainly should not be, a study published in Circulation in March 2016 purportedly showed that dairy fat was suddenly good for us, defending against diabetes. Another paper in the American Journal of Clinical Nutrition, published in April 2016, allegedly demonstrated defense against obesity. These papers, and the idea that dairy fat had done an about-face from foe to friend, inevitably became the nutrition news flavor of the week. As a result of all the media attention, I got rather caught up in it myself. Now, since the particulars of those studies and interpretations of them are all now part of history, we can move on to a related, important, and generalizable matter. We all know to be careful about concluding guilt by mere association. We are well advised to extend that thinking to innocence. In this case, the “innocence” of dairy fat, namely indications of benefit rather than the harms long espoused, was predicated on mere association. My copious social media feed is routinely filled with rants about the conflation of observational studies of association for proof of cause and effect. As the author of textbooks on epidemiology and research methods, and head of a clinical research lab for 20 years, my native inclination is to respond with: amen! The arguments are sound. Studies of association are intended to generate hypotheses, not test them. They show a possible pathway that warrants further study, but they never prove cause and effect. Alas, there is a large, thrashing fly in this social media ointment. These arguments are almost invariably motivated not by epidemiology, but by ideology. In other words, the rants come from those who pretend to be objecting to methods but are in reality opposed to the conclusions. The “more meat, butter, cheese” crowd only whines about this matter when the studies of association suggest the merits of more plant-based eating. To be fair, though, the ardent vegans routinely point out the flaws in any study hinting at the benefit (as in the dairy studies above), or even lesser-than-expected harms from animal foods, or saturated fat, while overlooking just such flaws in studies that conform to their worldview. This is anathema to sound and balanced judgment, as we have seen many times before. Consider, for instance, hormone replacement at menopause. We went one way with observational data, and embraced the bathwater with the baby, recommending hormone replacement as a matter of routine. We then learned from randomized controlled trials that prevailing practice was associated with net harm. Unfortunately, we misinterpreted those findings, too, and threw out the baby with the bathwater. Only now is an effort underway to consider the weight of evidence, interpret it in context, recognize that one size almost certainly does not fit all, and distinguish baby and bathwater. The whole thing is a precautionary tale. Dietary efforts might benefit from this history, but only if we learn from it. We seem more inclined to replicate its follies. Where does this leave us with dairy and dairy fat? The decisive bottom line we all tend to favor may simply be lacking in this case. But is the willful addition of dairy fat to a baseline diet that is even vaguely optimal advantageous in any way? Almost certainly not, and certainly evidence to make such a case is lacking. To the contrary, the relevant evidence goes the other way. 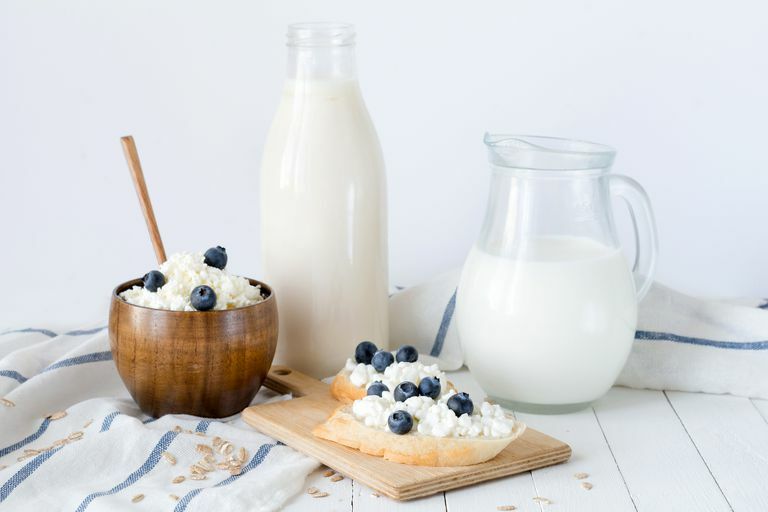 Virtually all of the well-established contenders for best diet laurels exclude or minimize dairy and those that don’t decisively favor low-fat dairy. There is a further and more compelling argument to limit overall dairy intake to modest levels for the sake of the environment. Randomized trials that have demonstrated the most impressive effects of diet on improvement in the health outcomes that matter most, including all-cause mortality, have reduced saturated fat intake in the context of both higher and lower-fat dietary patterns. While the Blue Zone populations vary widely in the total fat intake, none has a high intake of saturated fat in general, dairy fat in particular, or, for that matter, bovine dairy products at all. When the “anatomy” of the ideal Mediterranean diet was profiled, dairy was not a prominent feature. And when saturated fat intake, including from dairy, was willfully reduced in North Karelia, Finland, as part of a comprehensive lifestyle intervention, the result over decades has been an 82% reduction in cardiovascular event rates, and a ten-year addition to life expectancy. So whatever the potential merits of dairy fat, they are highly context dependent. There is a short list of decisively evidence-based additions and substitutions that will reliably improve the quality of any diet not already optimized, foster satiety, and facilitate efforts to lose weight and find health; dairy fat, per se, is not on it. While there is no universal, bottom line here about full-fat dairy, a column needs a bottom line just the same. This one is about parity in the application of judgment to matters of diet. The dairy studies that propagated the recent round of headlines, media focus and social media flurry were of association only. The very camps promulgating these findings as gospel would have highlighted that methodologic limitation and dismissed the results as inconsequential if they had happened not to like them. I know this for a fact because I see just such commentary in my social media feed daily. I can’t talk about parity while failing to apply it, so I hasten to reiterate that this double standard is applied in the opposite direction as well. Those who, for instance, favor veganism are quick to point out methodologic shortfalls of any study that argues against it, while ignoring the same limitations in any study that inclines the favored way. Studies of association suggest possible pathways warranting further study; they do not prove cause and effect. This is equally true whether they produce the outcome you prefer, or otherwise. The bottom line here isn’t limited to dairy fat, or dairy, or cows, but rather extends to the entire barnyard. What’s good for the goose should be good for the gander. Is Drinking Beer in Moderation Good for Your Health?